Remember Light L16, a weird-looking camera with 16 lenses? The same company has recently revealed that they plan to develop a smartphone with nine cameras. Yup, you read it well – nine cameras. Just like their L16 camera, the smartphone will also stitch multiple photos into a single large one, producing a 64MP image. Phones with multiple cameras aren’t at all new any longer, considering that there are smartphones with two and three lenses on the back. Light confirmed to The Washington Post that they’re taking the smartphone photography game further. As the same source reports, Light showed them some concept and working prototype phones featuring between five and nine cameras on the back. And what are we gonna do with all these cameras? Well, according to Light, the phone will be able to capture 64MP photos. Other than that, multiple cameras should provide “better low-light performance and sophisticated depth effects” as well. It’s funny that only a couple of days ago we covered a rumored LG phone that might have five cameras. 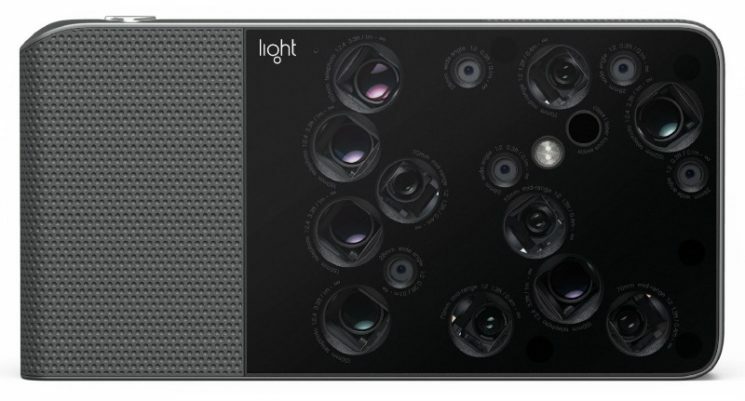 I was hoping we’ll go step by step from here, but apparently, Light might skip a few steps and go straight to a nine-camera phone, if this is the concept they decide to put into production. According to The Washington Post, we won’t wait much longer to discover what Light is up to, as they will reportedly announce their new phone later this year. And of course, I wonder what the photos will look like and will they be a match to those taken with L16. I can’t keep my fingers out of the way of one lens, 16!! !1 Yikes!!! The death of the travel/portable camera is almost complete. This could def be my next phone, if they actually can make it work properly. If I can get mid-range APC camera quality pictures out of this, then there would be no need to carry anything else with me on vacation other than my film camera.